VSL#3(VSL3): Mega-Probiotic for IBD and IBS. Do you need it? 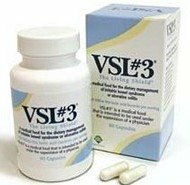 VSL#3 (AKA "VSL3") is a high-potency probiotic supplement intended for the dietary management of the IBD (inflammatory bowel disease) ulcerative colitis, of an ileal pouch and of IBS (irritable bowel syndrome). Its trademark description is “The Living Shield”, which I think is very fitting for what probiotics do. People wonder if it is worth the price, because it can be expensive. 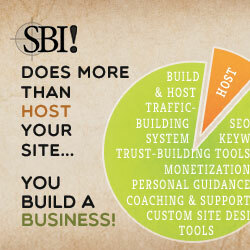 Read on because this page can help you decide. VSL#3 is used by some physicians for Crohn’s disease, but that is technically an “off-label” use (a prescription-drug term). It has been shown in a study to help prevent Crohn's in the early stages in mice, but it is not labeled to help with Crohn's. It is produced by Sigma-Tau Pharmaceuticals, Inc. and is a product of the USA. What Kind of Supplement is VSL3? Medical foods are NOT drugs. What Probiotics are in VSL#3? The powder should be mixed with only cool foods (applesauce, yogurt, cold soup, etc.) or cool non-carbonated liquids. The capsules may be opened and the contents mixed with cool foods or cool non-carbonated liquids. Please note that consumers are supposed to be working with a physician for treatment with these conditions. Follow your doctor’s recommendations as to usage. According to Sigma-Tau Pharmaceuticals, results can be expected within 7 days, but it may take up to one month for the gut to stabilize. Some research has shown that the gut was fully colonized in 20 days. Individual results vary. Studies used from 225 billion cfu/day to 3600 billion cfu/day. VSL3 can help to repair “leaky gut” to decrease the chances of bacterial translocation, food-particle entrance into circulation and inflammatory immune responses. It can help in abdominal bloating, reduce gas and slow colonic time in patients with diarrhea-predominant IBS. It has shown efficacy in ulcerative colitis, with and without drug therapy. It has shown efficacy in pouchitis. Species are proven to inhabit the intestinal tract during usage, and this product supplies the high amounts of bacteria needed to colonize and positively affect the GI tracts of IBS, ulcerative colitis and ileal-pouch patients. These species do not translocate from the intestines or act opportunistically when given to animals suffering from colitis. Thus, out-of-gut infections with VSL3 are not expected. Clinically-proven product, as a medical food must be. Instead of just testing each individual strain in laboratory studies and then combining them in a product, VSL3 combines tested strains but also has over 107 scientific studies performed over at least 12 years with it as a whole product. If stored under refrigeration (36-46°F or 2-8°C), VSL#3 products are guaranteed through the "Best if used by" date, not the manufactured date. Non-GMO cornstarch in the unflavored powder, and nothing else is GMO in any of their products according to their medical information department. It is the only probiotic recognized by the American College of Gastroenterology and the German Association of Gastroenterology as an effective tool in the dietary management of pouchitis. VSL#3 has GRAS (generally recognized as safe under the conditions of their intended use) status in the US. Not dairy-free. Might contain traces of lactose [less than 0.1g per 100g] and dehydrated skim milk or milk protein (casein and beta-lacto globulin of less than 2mg/Kg). Definitely requires refrigeration. VSL3 can be stored at room temperature (77°F) for up to one week without having a major effect on potency, but after that or if exposed to high temperatures, the number of beneficial bacteria can become significantly reduced. Like any probiotic, this one can cause bloating and gas when it is first being used until the body and flora adapt to the changes. Because all the forms of the product are so highly potent, it can be difficult to “ease into” taking VSL#3. You might have to weather some discomfort until your intestines get used to the new environment. VSL3 is not 100% effective for everybody...But then again, is anything? Is VSL#3 Right For YOU? I can help you decide if VSL#3 is right for you and at what dosage. Your local pharmacy may carry the non-prescription products. You can also purchase the products from Amazon.com (which has multiple-package options) or from the VSL#3 website, which also has multiple-package options. Obviously, the prescription "DS" product is only available with a prescription from your doctor. Return to the main page for probiotic supplement reviews.